On this episode, I respond to a video by BET (Black Entertainment Television), titled "What happens when you sign a Music Contract? | Rules to this Sh!t". The videos made by the big media networks such as BET and Complex are often times very misleading because they only give you one side to the equation. Record labels are always targeted as being predatory, when people talk about the music business, yet no one ever discusses musicians who use predatory tactics to get over on investors. I believe the video is also one sided because BET only covers the negative aspects of what happens when you sign a record contract instead of shedding light on all the positive situations that signing a record contract can lead you to. The video is also hypocritical because BET literally tell you "Don't Sign Your Life Away" in the video, yet, they're only asking artists who have signed major recording contracts. I think BET is full of sh*t and I don't want anyone to be mislead by the misinformation that their network spreads. Signing a music contract can come with many benefits. You also have to take in consideration what you will be giving in exchange for having a business partner. I give my honest response to the video. 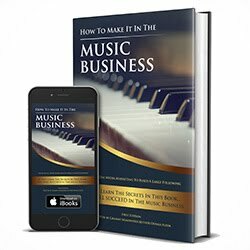 What do you think about signing a music contract? Feel free to leave your feedback in the comments below and make sure you Subscribe, Like & Share this video. Watch the video in question, below. In Episode Five of "Making Money with Prestley Snipes", I go to meet with a potential seller of an apartment complex sitting on a few acres. I originally set out to find single family houses, but my optimism has led me to a $1.2 million dollar deal. I met with the owner of the apartment complex and we got along well. He's open to the opportunity of me buying this property, but I must do more research on the property, before I make him my offer. I'm looking forward to closing on this situation fast and when it happens, it should be a very big payday! We'll see what happens. I've also learned how to navigate through a code violations list, enabling me to find distressed properties, more efficiently. Episode 6 coming soon. I'm hoping to be closing this deal, in the next episode. Stay tuned. Sign up for your FREE Audible Trial and get my NEW Audiobook for FREE! If you like Audible, keep your subscription and you'll be entered in the $5,000 CASH GIVEAWAY RAFFLE! This video is about financial literacy and it's Based on a True Story. In this video, I give my perspective on why most rappers, singers, athletes and actors, go broke. Most creative and talented people fail at financial literacy. In college, I would get an A in English class, and a C in Math. I was personally more interested in writing and the arts. A lot of us are very creative and talented in many ways, but we'd fail doing simple accounting. In this video, I tell my story of how I squandered through millions of dollars in the matter of 1-2 years. Creating an expensive lifestyle for yourself, is the number one reason that people go bankrupt. Financial literacy is just as important as making the money itself. If you have no financial literacy, then you will fall victim to your spending and everyone around you. We always hear stories of guys from the NFL, NBA, MLB and NHL making hundreds of millions of dollars, then going broke and filing for bankruptcy. How does this happen? How do you spend $100 million dollars? If you're sitting at home, you may be wondering how this is possible. I will do my best in this video, to explain the correlation between financial illiteracy, having millions and going bankrupt. I also talk about how drug abuse, fake friends and excessive eating and spending can lead you on a downward spiral, financially. Leave your feedback in the comments below and make sure you Subscribe, Like & Share this video. In Episode Four of "Making Money with Prestley Snipes", I give updates on my progress with my new real estate investing venture. I also finish posting the bandit signs that I ordered, in Episode Three. I'm currently working the Phoenix market and I decided to drive out to the Mesa / Tempe area to finish my bandit sign promotion today. See what it takes first hand to launch a grassroots bandit sign campaign for an upstart real estate investing firm. While posting bandit signs, I also found a few abandoned properties, in which I plan to get in touch with the owners, in hopes of them selling their properties to me. See what it takes to get rid of about 50 bandit signs, in a busy city. It took me a total of about 10 hours to get rid of the 100 signs. I posted the signs in different parts of the city, over the course of about 4 days. This is footage of my final day, posting my first 100 bandit signs. Hopefully this video will motivate you to get started in real estate investing. Stay tuned for Episode 5 of "Making Money with Prestley Snipes".